This time last week we were savouring our last night at Center Parcs Whinfell Forest with an al fresco bottle of wine. Fast-forward to this evening and it’s fair to say we’re all still on a bit of a downer (I’m typing this in front of the tellie – enough said). The Boy is especially sad and keeps asking when we’re going back to his holiday house, although to be fair to him I still haven’t fully unpacked the bags and there are bits of ‘holiday stuff’ all over the house, so he’s got good reason to be confused. 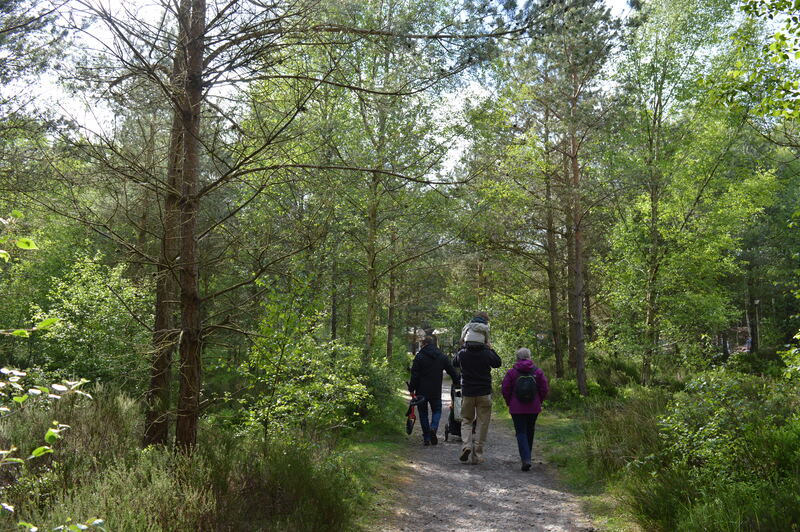 I first went to Center Parcs as a kid, and over the course of a few decades The Husband and I have been to all the other UK villages – Sherwood, Elveden, Longleat and Woburn. But not Whinfell. It’s in Cumbria, so it’s the furthest away from us at just under 5 hours’ drive. Which is why we decided that, if we were going to make the trek up there, we may as well stay for the whole week. If you’ve never been, Center Parcs villages are essentially posh holiday resorts in woodland settings. Everything is laid on for you – at each one there’s a huge indoor swimming pool, shops, restaurants, kids’ clubs, a boating lake, sports plaza and spa. Not to mention a huge list of bookable activities. Accommodation is mainly self-catering lodges spread around the forest, so there’s a bit of walking involved to get anywhere. But that’s what’s so nice about it – look out of your lodge window and you see rows and rows of trees, not people. We set off for Penrith at midday on Friday and arrived at the kids’ tea time. Our first impressions of Whinfell? It’s probably the most ‘different’ of all the villages, which are all based on the same template. For starters, entry onto the village is through a weird carwash-esque bay system I’ve not seen anywhere else. Plus, the lodges themselves are far more spread out than at the other villages, and ours was 2-storey, which is rare in the lower cost-bracket (and which was brilliant when it came to putting the kids to bed because we could carry on making a noise downstairs). It’s down to the fact that Whinfell was originally owned by a competitor and taken over by Center Parcs, whereas the others were built from scratch. Those differences aside, though, it was Center Parcs as usual and our week of playing, swimming, picnic-ing, barbecuing and squirrel-watching flew past. The view from our lodge certainly beats the view from our front-room window at home. Soft play. Or an excuse to savour a coffee while they run around like crazies. The day he no longer cuddles a giant man-in-a-teddy-suit like his life depends on it will be a sad one indeed. The best kind of bedtime stories are told in a hammock, in a forest. …and the best kind of photos are taken in a hammock, in a forest. That little brown door at the back? That’s the door to an hour-and-a-half of child-free relaxation in the Aqua Sana spa. Thank to the in-laws for babysitting. Ah – that rare, magical thing that only happens on holiday, or when you really really need to get somewhere. In the car.